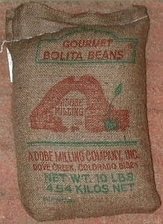 Adobe Milling Products to bring that great southwest taste into your kitchen! Our famous table sauce, great on everything from buffalo wings to ice cream. Used in restaurants throughout the United States. Recipes available. Available in 6 oz. w/sombrero, or quarts and gallons. For everything from smokin' hot martinis to garnish on a plate of enchiladas. 8 oz. Bacon Flavored Bean Spice-- Perfect with any beans. Just add to water and beans while cooking. delightful. 4.25 oz. Mesquite Barbecue Spice -- Delicious on grilled or barbecued meats. Just sprinkle, rub and cook. No messy basting with this spice. 4.25 oz. Cajun Spice -- An outstanding, flavorful spice for grilling and sauteing meats, fish or poultry. 6.5 oz. Pinto Bean Spice -- Add to beans when cooking. Try it, you'll like it! 4.25 oz. Corn Meal -- Blue Corn (Navajo Maize) ground. For tortillas and other baked goodies. 3 lb. Atole -- Roasted blue corn meal. 12 oz. Posol� -- Traditional Mexican posol�. 12 oz. Chicos del Horno -- Young corn, roasted, dried and ready for stews or soups. 12 oz. Chile peppers -- New Mexico Grown. Crushed and ground, hot or mild, just ask - we've got 'em! 1 oz. - 14 oz. by visiting our store here!